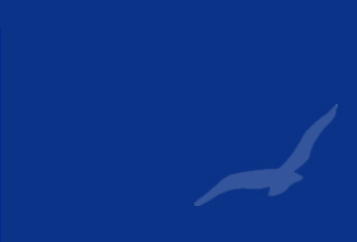 Maryland Yacht Club - Coastal Properties, Inc. Address 1500 Fairview Beach Rd. Located in peaceful and protected Rock Creek, just off the Patapsco River, Maryland Yacht Club offers the perfect location to keep your boat. The club offers Resident memberships, which include a slip for boat owners; and Social memberships, for those who just want to enjoy all the amenities and activities the club offers. Special rates are available for both memberships and boat slips! As one of the friendliest and most active yacht clubs on the Chesapeake Bay, you will find the club to have not only the most welcoming community of boaters, but also one that offers so many amenities, benefits and activities for you and your family to enjoy. 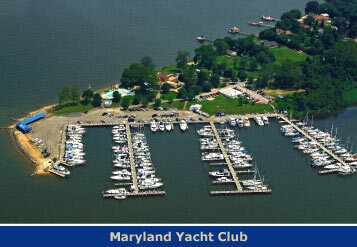 Maryland Yacht Club is not only a perfect location to keep your boat but it is known for its great boating community and numerous social events and activities. Among its many benefits, the club offers a beautiful pool, family/kids play and picnic areas, planned cruises; catered events; junior sailing programs, a clubhouse with an active bar and full kitchen with a local chef offering meals on weekends, fuel at the marina basin, gated entrance, plenty of close parking, a ships store, billiards room, and many more reasons to love the club. Maryland Yacht Club is located on a beautiful peninsula of more than eight acres, with a grand view of the Patapsco River from its bluff. Stop by anytime to find out more and to learn about the impressive historic roots this club has, dating back to the early 20th century. The marina basin contains 120 deep-water slips up to 75' with full utilities. A full time staff and Manager are onsite to assist with any needs. There is easy access to the Chesapeake Bay from the well-protected basin inside Rock Creek. A fuel dock offers Diesel and Gas at competitive rates. Ice, pump-out and dinghy racks are also available. The bathhouse and laundry facilities are open year round. Its covered beachfront pavilion is a great place to relax and watch the sunset! Take Route 695 (Baltimore Beltway) to Route 10 South (exit 2). Route 10 South to Route 100 East, toward Gibson Island. Turn left on Magothy Bridge Road and continue on Hog Neck Road. Go to second traffic light to tee, turn right onto Ft. Smallwood Road. Travel on Ft Smallwood Road for 2.3 miles; turn left onto Fairview Beach Road. Travel on Fairview Beach Road to very end.